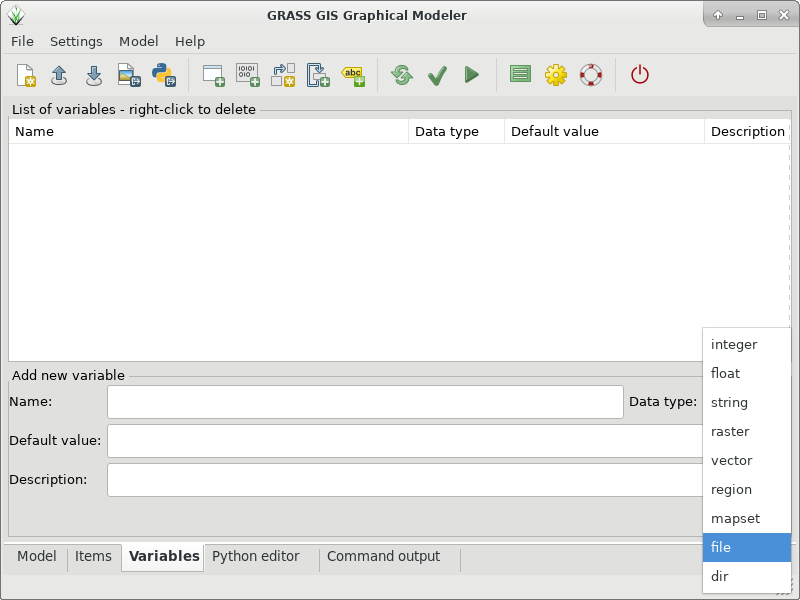 I am working with the wx graphical modeler in grass gis 7. 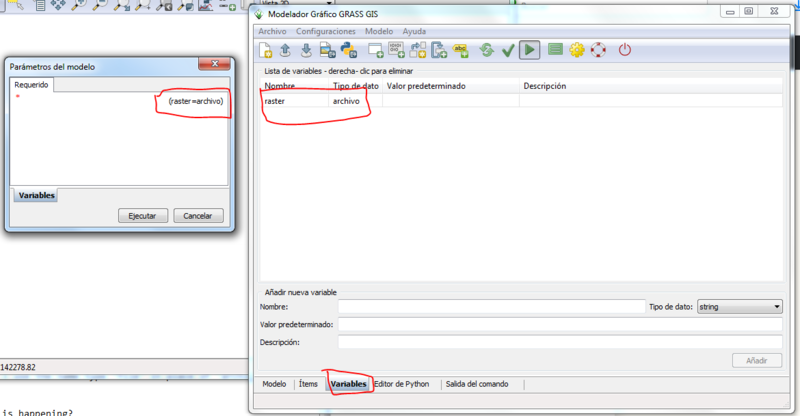 When I try to use a variable call "archivo" in spanish, wich is "file" in english, it does not work. The variable dont let me choose a file. But if I change the language to english it work fine. 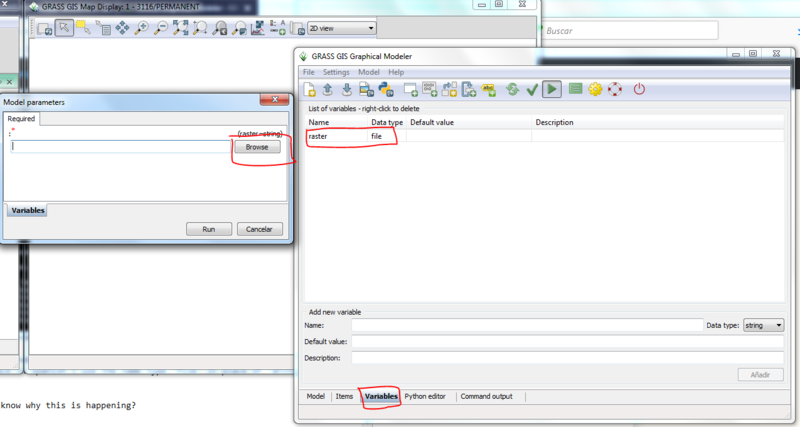 even if having the interface in spanish I use the name type "file" in place of "archivo" it works.